Dr. Kerry Danielsen graduated from the University of Pennsylvania School of Veterinary Medicine in 1990, and settled at Edinburg in 2000 as a general practitioner and partner. In 2015 she became sole owner of Edinburg Animal Hospital. As well as practicing general medicine and surgery, she has strong interests in dentistry, and behavioral counseling. She has two grown children (Ryan and Alexandra), two dogs and one cat. During her (limited) spare time, Kerry enjoys traveling, outdoor activities, photography, and is an avid reader. 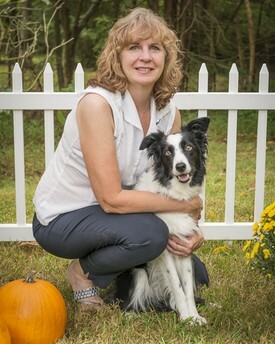 She also enjoys agility with her dogs, and has competed at the national level with her Border Collie MACH 3 Annie Oakley, a 3 time champion. She is currently enjoying training her latest addition to the family, a young Border Collie named "Bowie". 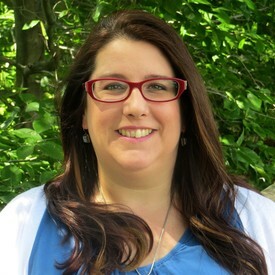 Dr. Jennifer Fanders grew up in the Philadelphia area and has been practicing in NJ since graduating from the University of Minnesota in 1996. She enjoys preventative medicine & nutrition, surgery, dermatology & oncology (Treating cancer). Dr. Fanders also has a passion for exotic animal medicine and surgery with over 19 years of experience treating a variety of special pets. The list of interesting pets she cares for include rabbits, guinea pigs, chinchillas, hamsters/gerbils, rats, ferrets, parrots, song birds, chickens, ducks, geese, swans, snakes, turtles/tortoises, lizards, hedgehogs, sugar gliders and many more! Jennifer & her husband, David, have two children, Genevieve & Henry. The Fanders Family also has a menagerie of pets: two dogs, Boo & Brigita, two parrots, Basil an African Grey & Oscarina, a Peach Front Conure, two cats, Bella & Beaker and a guinea pig, Peanut Butter. Her hobbies and interests include scrapbooking, reading science fiction & mystery novels, gardening, camping, medieval history, cooking and making aged cheeses at home.